Soft, luxurious washed Denim in 65/35 poly/cotton fabric. The tops in chef coat elegance for the top Cook! 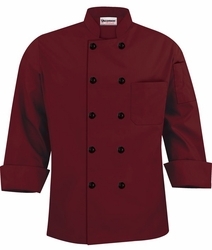 This tailored fit chef coat has mitered breast pocket, thermometer pocket, finished cuffs and collar, reinforced bar tacking and reversible closure. Soft easy care. 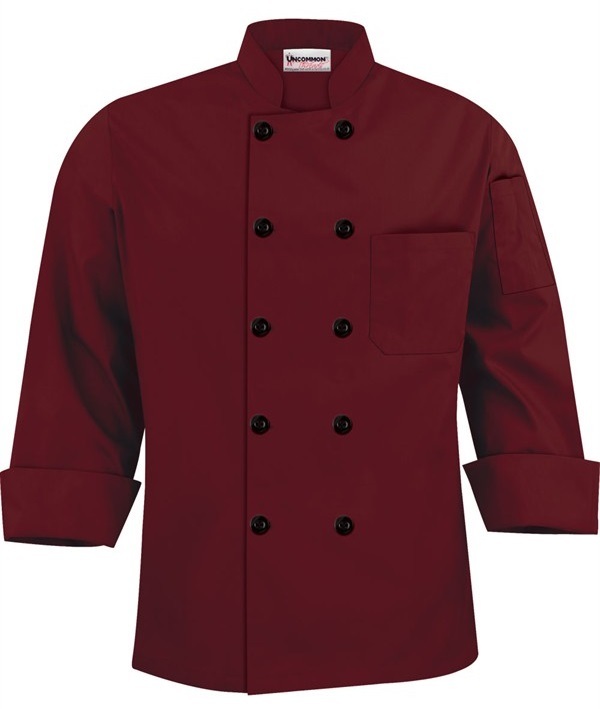 The chef will look posh and trendy in this top chefjacket.